Preparatory work to merge five Northamptonshire councils into one large super council for the north is moving very slowly, according to a chief executive involved. Senior officers and elected council leaders have met many times since September to try to thrash out the details behind plans for a new unitary council for North Northamptonshire which is proposed to be created by May next year. The move would see the district and borough councils at Corby, Wellingborough, East Northamptonshire and Kettering, as well as Northamptonshire County Council, scrapped and all services such as social services, waste collection and planning provided by one single organisation. But according to the chief executive of East Northamptonshire Council (ENC) David Oliver, putting together a plan for what needs to be done has not been moving at pace. The move to restructure is a mammoth task. Currently each of the four district and borough councils have their own staff providing their own unique services, although there are a number of shared services between certain councils. There will be a number of job losses if the unitary council is brought in. And there has been disquiet along the way from all councils about the process. Central government put Northamptonshire on the track to unitary last spring after the near financial collapse of the county council. However, the Government itself has fallen behind on its own timetable and there are growing fears there is not enough time to get everything done. The Government is in the midst of a consultation and is not expected to give a definite answer about whether the existing two-tier governance system will be replaced until the end of March. 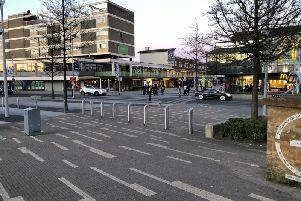 Corby Council, the only one of Northamptonshire’s eight councils to say no to unitary, has made public its concerns about the May 2020 date. It says the move would cause a risk to services and also damage staff morale. It also said the Brexit uncertainty and the possibility of a general election could put unitary plans for next year in jeopardy. Corby’s full council will meet tomorrow (Jan 16) to consider its response to the Government’s consultation.